The Danube, known by various names in other languages, is Europe's second longest river, after the Volga. It is located in Central and Eastern Europe. The Danube, known by various names in other languages, is Europe’s second longest river, after the Volga. It is located in Central and Eastern Europe. 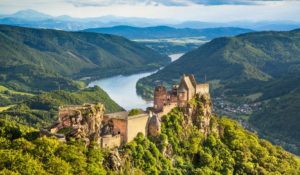 The Danube was once a long-standing frontier of the Roman Empire, and today flows through 10 countries, more than any other river in the world. 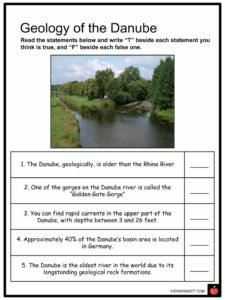 See the fact file below for more information on the Danube or alternatively, you can download our 24-page Danube worksheet pack to utilise within the classroom or home environment. It is the second-longest river in Europe (after the Volga). It flows through Germany, Austria, Slovakia, Hungary, Croatia, Serbia, Bulgaria, Romania, Moldova, and the Ukraine. 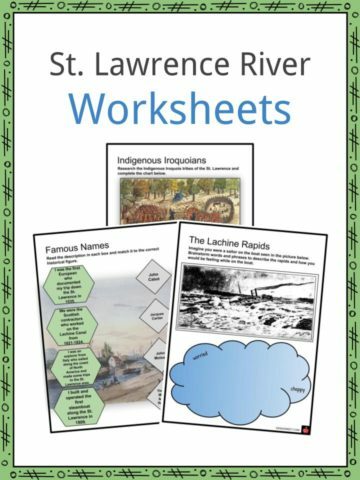 It flows through more countries than any other river in the world. 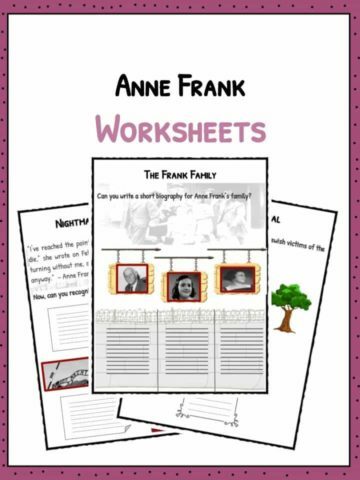 It originates in Germany and flows in a southeast direction. It drains into the Black Sea via the Danube Delta in Romania. 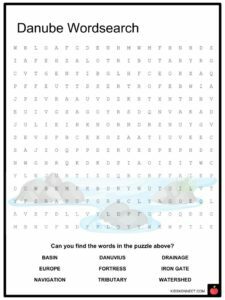 The word “Danube” comes from an Old European river name “danu”. The Danube played a strong role in the settlement of central and southeastern Europe, as it formed boundaries between empires and acted as water highways between nations. In the 6th century BCE, Darius the Great (king of Persia) crossed the river, looking to invade the land of the Eurasian nomads, the Scythians. During the 7th century BCE, Greek sailors used the river to conduct trade with other nations; they became familiar with it and named it Ister. Under Julius Caesar, the Roman Empire used the Danube as a northern boundary and was then called the Danuvius. Many Roman military posts were set up along the river, much like the Greeks did it. Ancient Roman soldiers patrolled the river and had strongholds along its shores. During the Middle Ages, new castles and fortresses were built along the river. When the Ottoman Empire expanded in the 15th century, the fortresses were used by the Turks as defense mechanisms. Between the 14th and 19th centuries, the Ottoman Turks fought against the Hungarian Empires for control of the Danube, but for centuries the river acted as the former’s northern border. The Danube underwent many changes to its boundaries and borders after both World Wars and the formation of the European Union. The Danube has over 300 tributaries (more than 30 of them are navigable). More than half of the Danube basin is drained by the tributaries flowing to the right-bank, which collect water from the Alps and other surrounding mountains. The upper Danube springs as two small streams from the Black Forest, located in Germany, and begins to flow northeastward. Once the river reaches its northernmost point at Regensburg (in Germany), it begins flowing south towards the Austrian border and through the Bohemian Forest. The middle course of the Danube is relatively flat, with low banks. 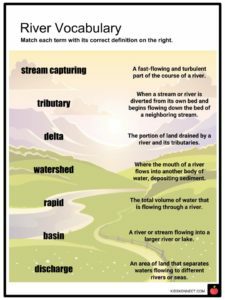 Due to its flow through flat, low plains, the river stream slows down. As a result, two islands near the middle portion of the river have formed. 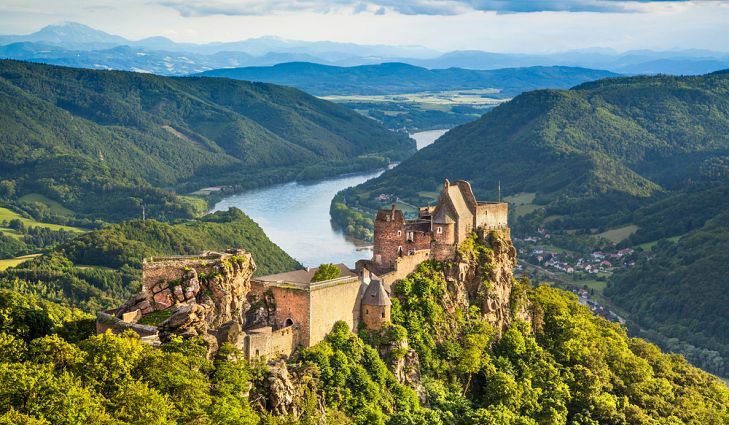 The river continues past the Western Carpathian and the Hungarian Transdanubian Mountains, on the banks of which are several castles, fortresses, and cathedrals that were built during the 10th-15th centuries. Once the Danube flows through Croatia, Serbia, and Romania, it reaches the Iron Gate gorge where it becomes shallow and marshy. Beyond the Iron Gate is the lower course of the Danube, which flows across a wide plain, where it becomes very shallow. The river then splits into three channels with several creeks and lakes around and among the channels, and covers approximately 1,660 square miles, eventually draining into the Black Sea. The river contains many solid particles, including quartz. The temperature of the river waters range from 71°F and 75°F in the summer, and below freezing in the winter. In severe winters, the middle and lower courses of the river can be prone to freezing between December and March. The Danube is considered an international waterway. The river serves as an important transport route for all of Europe. In the EU, its designation is “Corridor VII”. 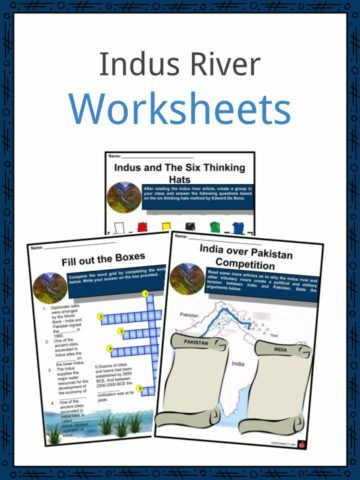 This is a fantastic bundle which includes everything you need to know about Danube across 24 in-depth pages. 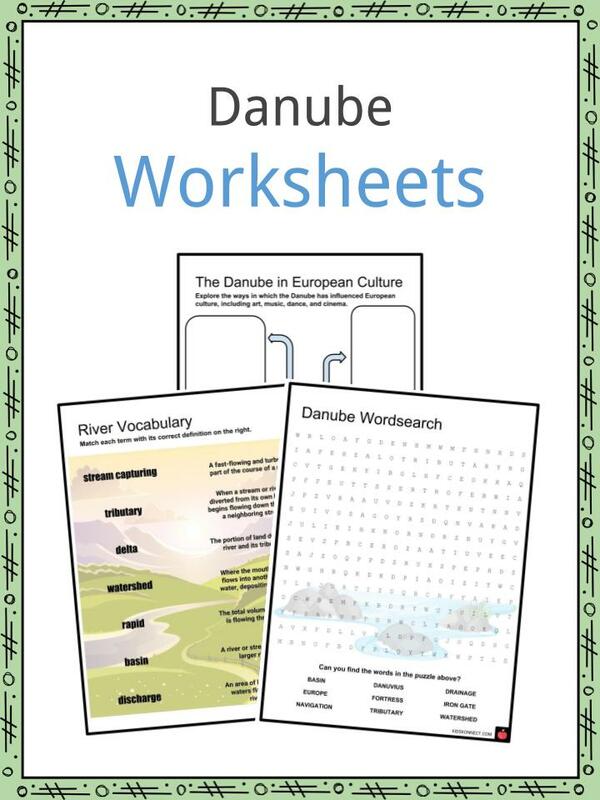 These are ready-to-use Danube worksheets that are perfect for teaching students about the Danube, known by various names in other languages, which is Europe’s second longest river, after the Volga. It is located in Central and Eastern Europe. The Danube was once a long-standing frontier of the Roman Empire, and today flows through 10 countries, more than any other river in the world.